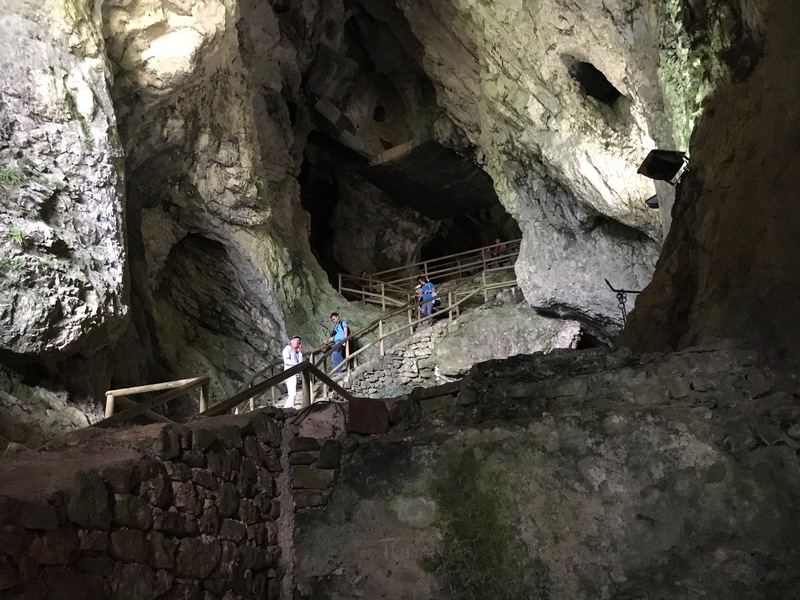 We arrived at our first destination, Postojna, after an early start and in time to fit in visits to the two main attractions in the area- the Postojna Cave system and Predjama Castle. Both are listed as must-see’s in Slovenia and they were on our route north. Postojna Cave is an incredible cave system covering about 24 km, one of the largest in the world and filled with amazing stalagmites and stalactites of which you visit about 5 km during the tour.An incredible number of people visit each year and it is very efficiently run with a mini train that whisks to you 2 km along inside the cave to the point at which you start exploring on foot. 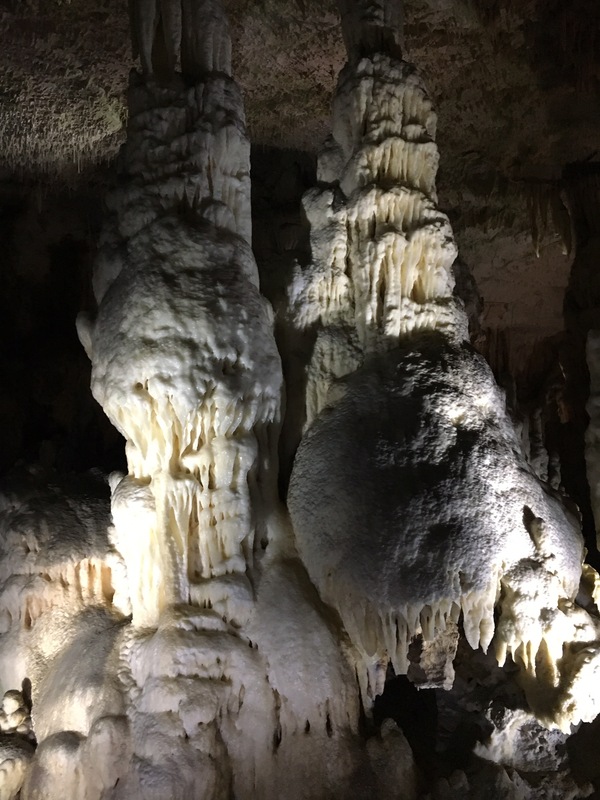 The tour felt a little rushed – we decided being at the end was better so that we could stop and really look at the caves – but then we would get behind the rest of the large group and have to rush to catch up. 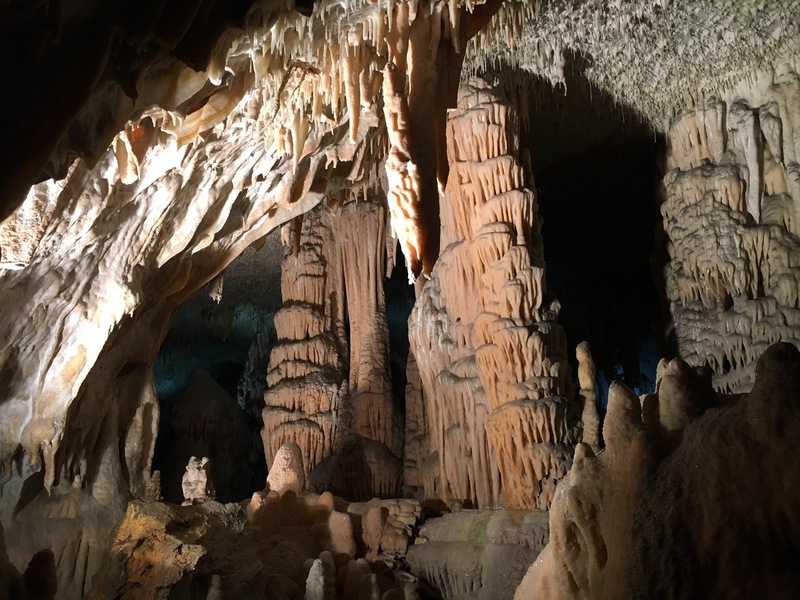 The tour inside Neptune’s Grotto in Sardinia, although smaller, was on a more personal scale. The lighting was also better for taking photos. 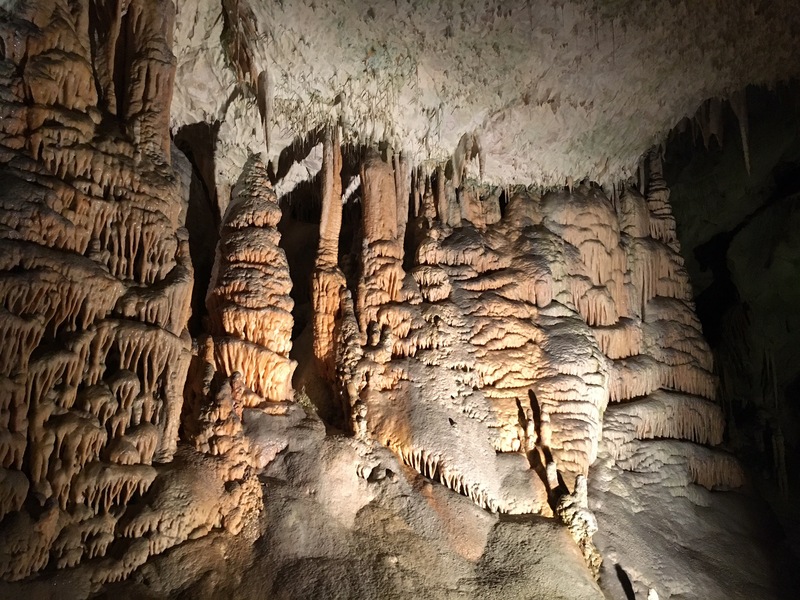 Even so, you cannot help but be awed by the sheer scale and length of the caves. 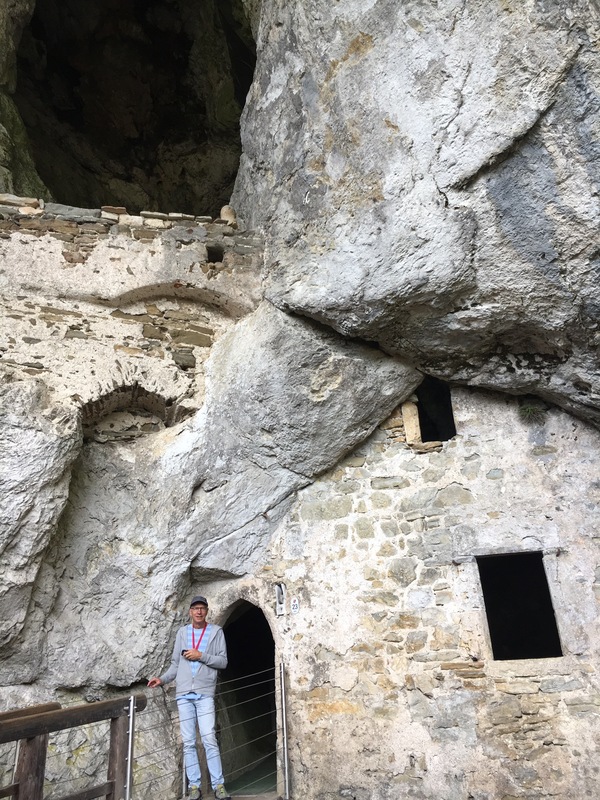 Predjama Castle is about 10 km up the road from the caves and is apparently one of the world’s most dramatic castles – built into a cave half way up a 120 m cliff. Very defendable apparently especially when there is a hidden back route out up through the top of the cave system. It was initially built about 1200 but in its current form dates mainly from the early 1600’s. It’s most famous inhabitant (a kind of Robin Hood character) was apparently killed by a cannon ball while sitting on the toilet – the only vulnerable part of the castle. It has apparently been kept as true to form as possible for visitors. We found it well worth a visit. The walk (or climb) through the castle is interesting because the cave wall forms some of the internal walls of the castle – the constant water dripping down these walls was channeled into the water supply. At the top was a draw bridge leading to the cave of last retreat – for when the enemy had broken through into the main castle. 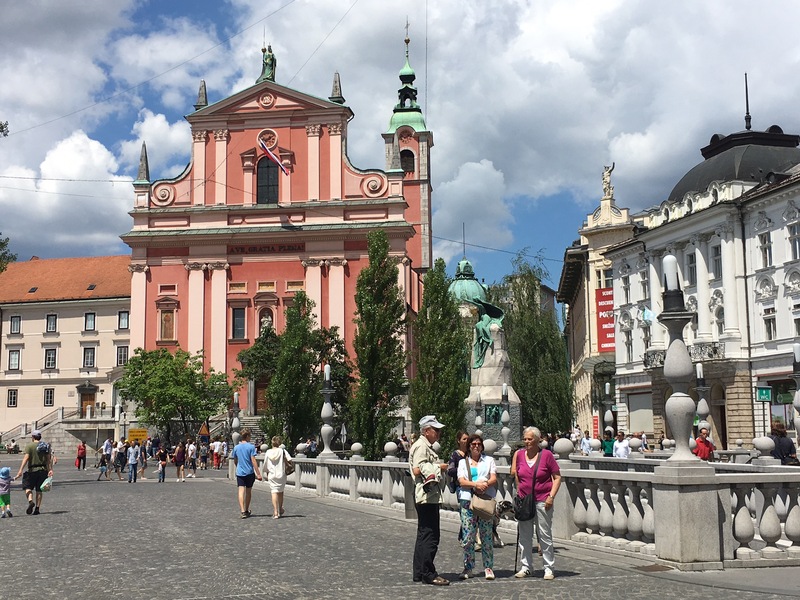 After a night in the cave car park we headed off to Ljubljana early so that we could enjoy most of the day and evening there. We immediately noticed the difference on the roads – no Italian drivers taking insane risks. The countryside in this western part of Slovenia is beautiful – heavily forested steep hills with small villages set amongst pasture. In fact 58% of the whole of Slovenia remains in forest – a huge percentage. 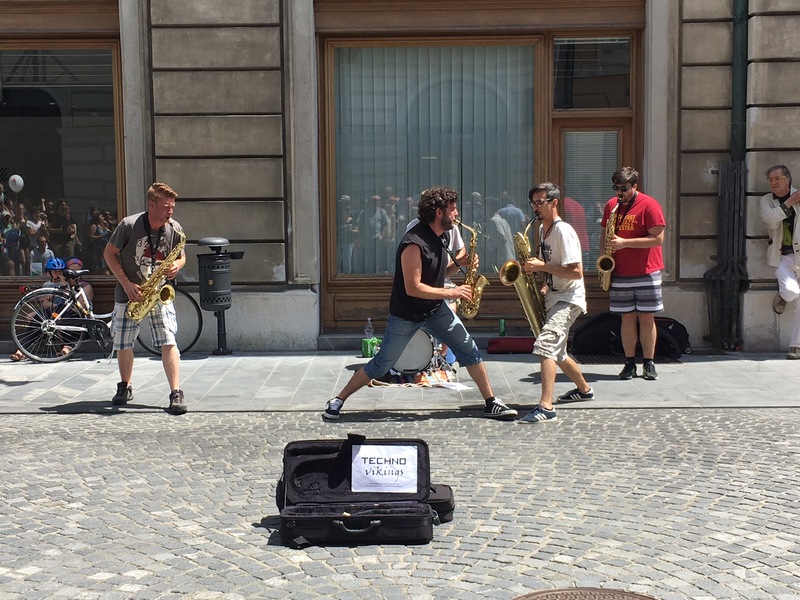 Ljubljana seemed to us to be very laid back for a capital city. A visionary mayor banned cars from the centre of the old town and spent money beautifying the river banks. It was also awarded the title of the “Green Capital” of Europe by the EU last year for its environmental policies. The result is a centre that is very pleasant to visit and now attracting its fair share of tourists. It is also an up and coming foodie destination with a focus on fresh local produce. 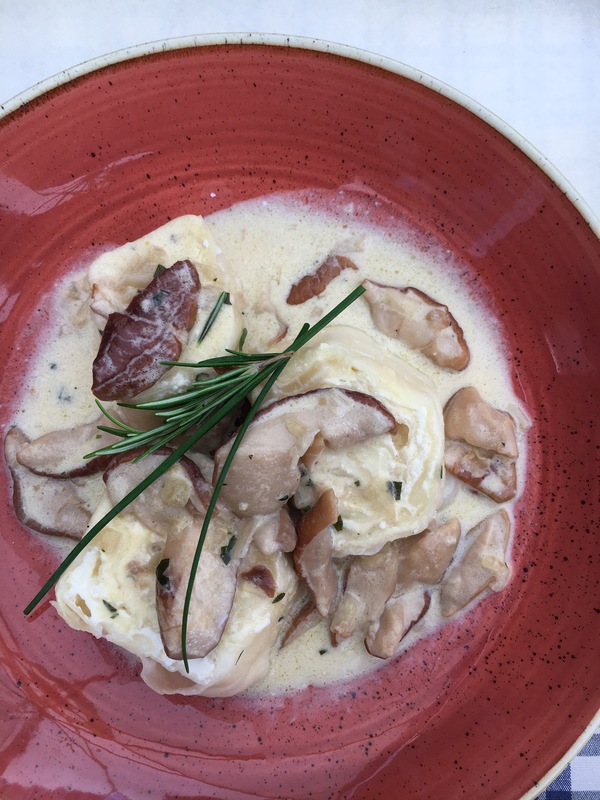 As usual I tried the local speciality for lunch – cheese dumplings with porcini mushrooms but not as we think of dumplings. More like a thin dough rolled with a filling of ‘young cheese’ – surprisingly it was not too rich. 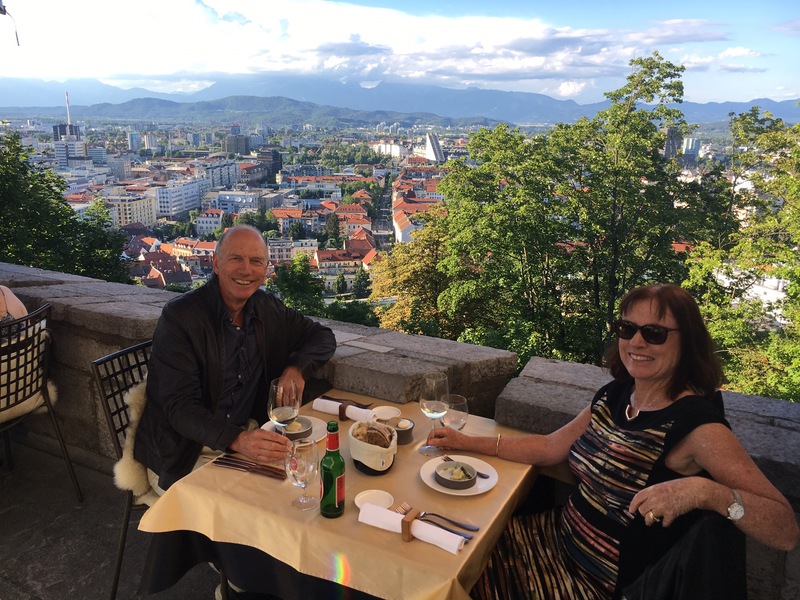 We had the best meal of our trip there at Restaurant Strelec located in a tower of the castle on the hill, overlooking the city. 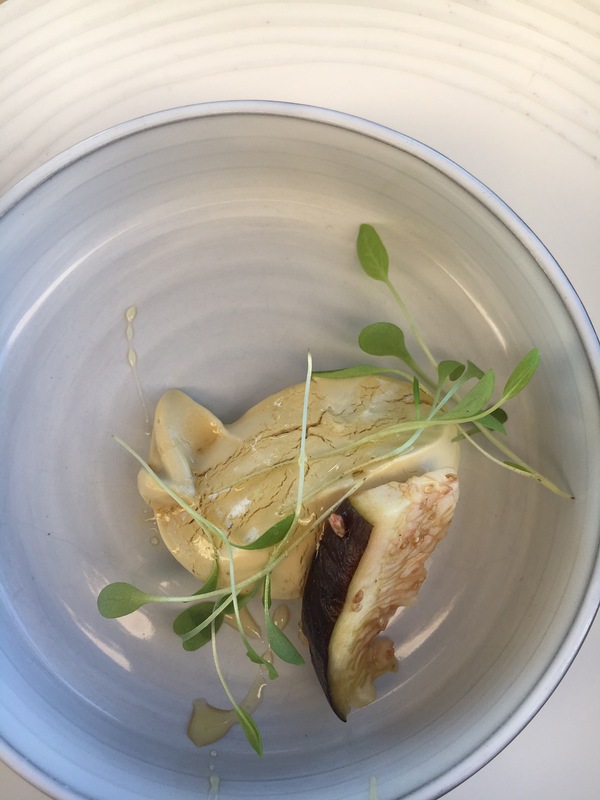 The food was not only delicious but innovative. And the wine matching was superb ( we have found that Slovenia produces some excellent wines ). And the setting was superb- the terrace was on top of the old castle on the hill. 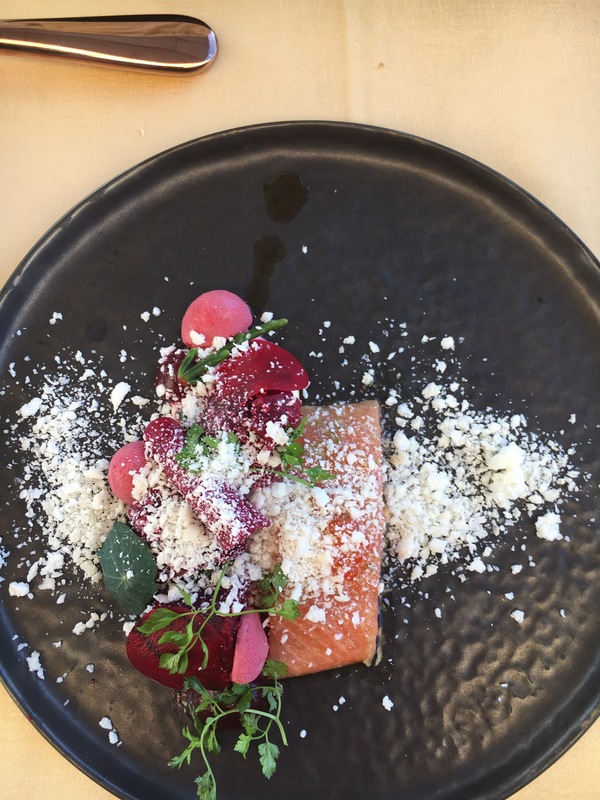 Apparently the Michelin star system has not yet arrived in Slovenia but is likely to do so soon. 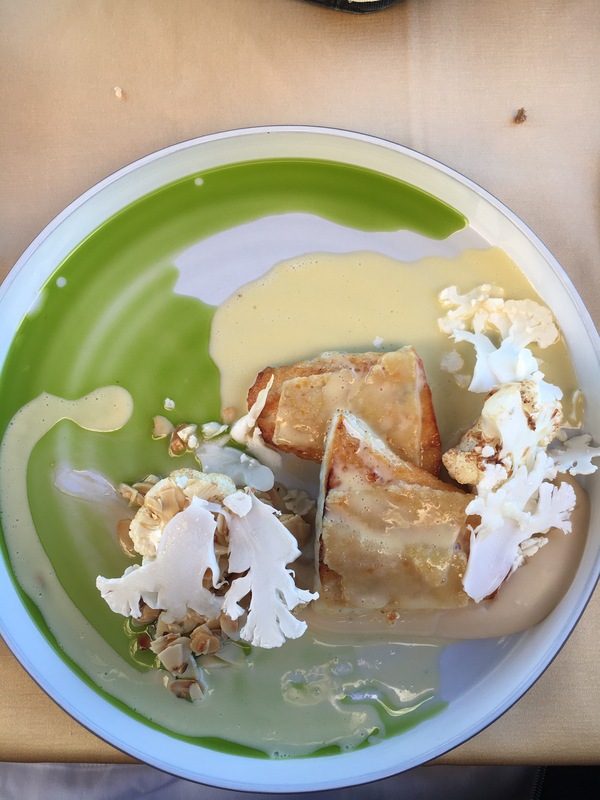 This restaurant is hopeful it will be the first starred restaurant in Slovenia. Some photos below …. 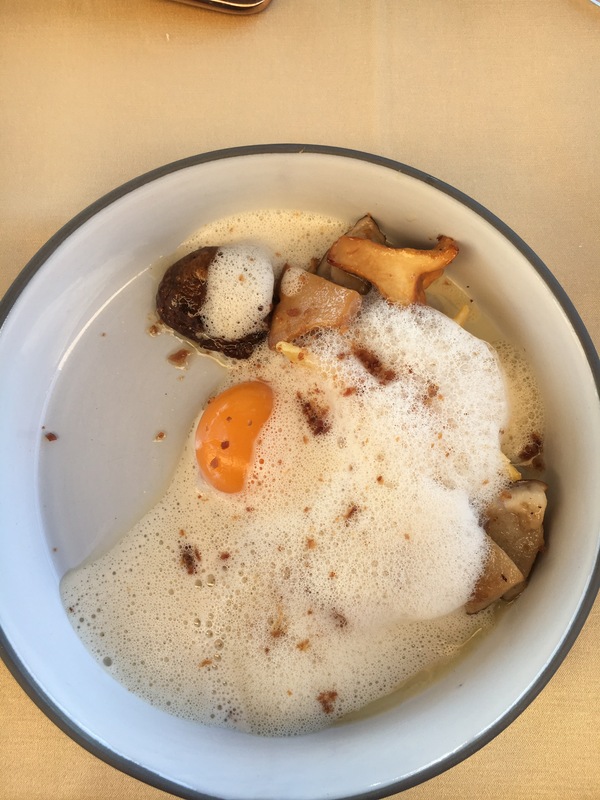 Ingredients – mushrooms egg and bacon but wow what a dish! 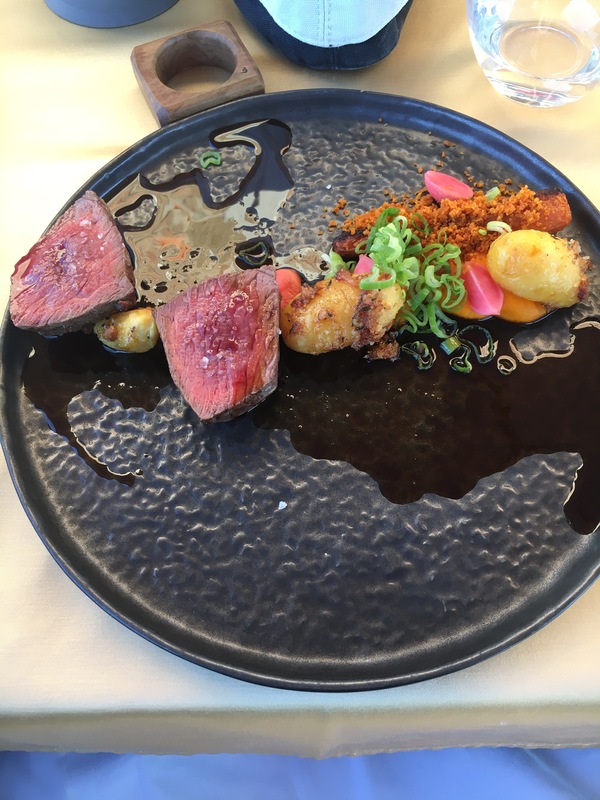 Not your normal steak dish! I forgot to photograph the dessert and a couple of other courses but they were equally divine. 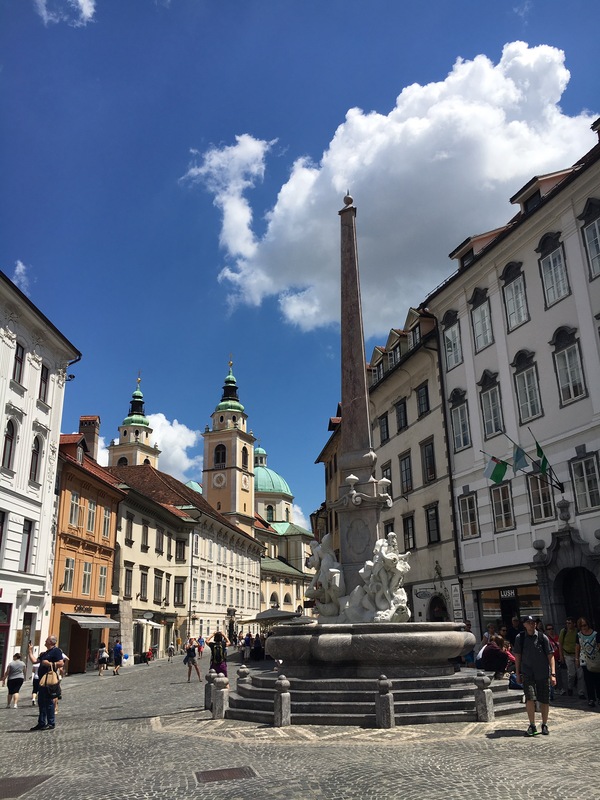 Visiting Ljubljana was a last minute decision and a good one – while there is not enough to do there to justify more than a day or two it is not far from other areas worth visiting in Slovenia. 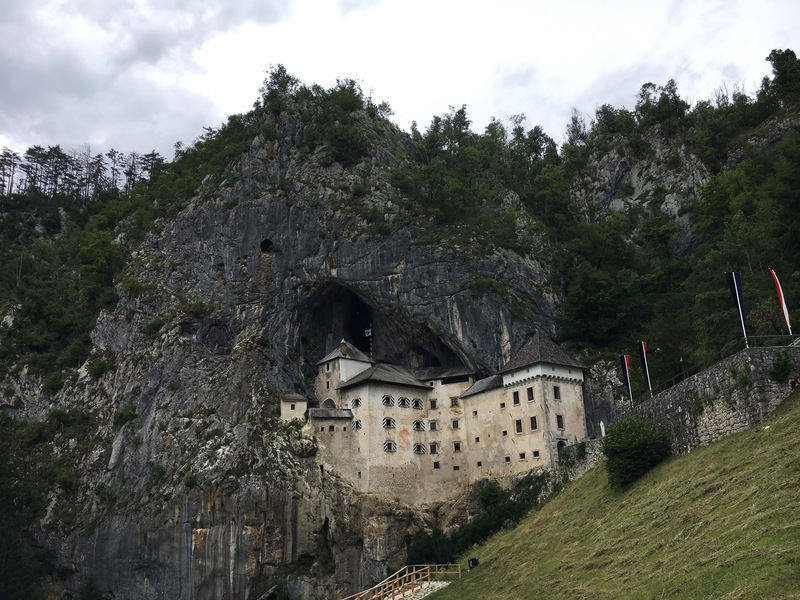 Our drive from Postojna was only about 60 km and the distance to Lake Bled is similar. Thanks Diane. It will be over too soon. Slovenia is on our bucket list for next summer. Thanks for sharing this information. We really enjoyed our week in Slovenia. Very friendly helpful people and most speak good English.After talking to people the west is the most interesting area particularly if you like the outdoors but very busy in July/August. It is very reasonably priced too. Now we are in Austria which is supposed to be cheaper than France or Italy but we have been surprised at the cost of things.